Imagine a classroom where every student is diligent taking notes, recording what the teacher says and hanging on every word. Imagine the teacher asking a question and every student's hand immediately shoots up into the air and shakes, begging to be called on. Imagine a teacher having neat little stacks of homework and lessons, easing their way through each day. Doesn't this sound like the way education should be? It certainly sounds ideal but the problem with every ideal is that it just doesn't match the reality. In every level of education, students are humans, and are equipped with the same flaws and shortcomings as the rest of us. Teachers, too, are only human, and have severe limits on the impact they're able to have on each student in their classroom. Teaching assistants are more and more important essential to the efficiently of a classroom and the depth of a student's education. When you earn your Associate's Degree in teaching assisting, you become another professional set of educator's eyes and hands in the classroom, working with students to enhance their educations. The world of the classroom might not be ideal, but it becomes a little more so when an effective teaching assistant is included inside of it. On a day to day basis, teaching assistants work directly in the classrooms under the management of the teacher. These teaching assistants are typically responsible for finding more personal ways of reinforcing the lessons presented by teachers. This means that they often re-explain or review materials with students one-on-one or in a smaller setting. This also includes often just helping the teaching maintain a positive, productive working environment, every extra set of adult eyes and hands in the classroom means that even difficult-to-manage students will be held more accountable. Assistants are often requested to perform recordkeeping tasks and to help prepare materials for upcoming lessons. There are limitless ways a teacher can try to influence the lives of students, but ultimately the more help a teacher receives then the more likely they are to be successful in their endeavors. There are many different opportunities for teaching assistants to find employment. Elementary, middle, and high schools all require teaching aids for a variety of reasons. At elementary levels, teaching assistants are employed to help prepare a range of materials and help to manage students who are often too young to completely care for themselves. In middle school the responsibilities are similar, although more responsibilities for management and discipline emerge. At all three levels of education, special education laws and departments deploy teaching assistants to meet the specific needs of students who cannot learn in ways that mainstreams courses are taught. Talented teaching assistants are also highly prized personnel in tutoring settings as well. Not only schools, but tutoring centers, after school programs, public libraries, and one-on-one professional tutoring are educational hubs that need teaching assistants. And like these areas that specialize in working with young people, even places like daycares, camps, and libraries rely on the skills of teaching assistants to meet the wide variety of educational needs that students have in these diverse settings. The ideal classroom does not exist, and students with learning problems, attention problems, behavioral problems, and even just human problems appear in every room across the nation. Although we can credit teachers with doing quite a bit to benefit this younger generation, a truly effective classroom becomes tangible when there is a talented, education teaching assistant inside of it too. If you earn your Associate's Degree in teaching assisting, you'll develop the necessary educational skills that will help you empower a teacher's ability to teach, and will help you personally make differences in the educations of many different students. While you are enrolled in school you can still hold down a part-time job, fulltime if you take night classes. 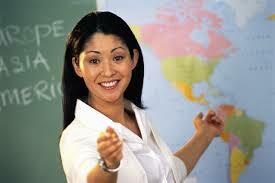 To become a teacher’s assistant a certificate training program or Associate’s degree is recommended. If your goal is to one day become a teacher then you’ll need to complete your Associates degree then enroll in a 4 year college to complete your Bachelor’s degree and obtain your license. Below are just some of the areas you can apply for in order to gain employment as an assistant teacher. Public Schools – The largest employer of assistant teachers is in the public school system. During your last year of school before you can obtain your teachers license you’ll spend being a teacher’s assistant. Here you’ll get real-world experience from a licensed teacher and learn how a classroom works. Daycare Centers – Both private and public daycare centers are always hiring teacher’s assistants. The great thing about daycare centers is they don’t require that you have your teacher’s license so the teacher’s assistant Associates degree that you obtain will be sufficient in order to apply for employment. Church Schools – Inquire at your local church as they often hire assistant teachers to teach their Sunday school classes. They also might not require that you have your state teachers license. Start your Teacher’s Assistant Associates degree today from any of the accredited schools listed. Below are just some of the programs and topics you’ll cover during your training.